Manuscript submitted November 12, 2015; resubmitted December 15, 2015; accepted December 21, 2015. Diabetes mellitus is a chronic disease and a leading cause of death in western countries. Despite advancements in the clinical management of the disease, it is not possible to control the late complications of diabetes. The main characteristic feature of diabetes is hyperglycemia, which reflects the deterioration in the use of glucose due to a faulty or poor response to insulin secretion. Alloxan and streptozotocin (STZ) are the chemical tools that are most commonly used to study the disease in rodents. Many plant species have been used in ethnopharmacology or to treat experimentally symptoms of this disease. When evaluated pharmacologically, most of the plants employed as antidiabetic substances have been shown to exhibit hypoglycemic and antihyperglycemic activities, and to contain chemical constituents that may be used as new antidiabetic agents. There are many substances extracted from plants that offer antidiabetic potential, whereas others may result in hypoglycemia as a side effect due to their toxicity, particularly their hepatotoxicity. In this article we present an updated overview of the studies on extracts from medicinal plants, relating the mechanisms of action by which these substances act and the natural principles of antidiabetic activity. The pancreas is both an endocrine and exocrine gland . The exocrine section releases digestive enzymes, aiding in the digestion of food . The endocrine pancreas is dispersed in the exocrine parenchyma with clusters of cells, the islets of Langerhans, which include four major cell types: α-, β-, δ-, and PP-cells (pancreatic polypeptide). β-cells secrete insulin, and are present in higher numbers than other cell types in the pancreatic islets. The other cell types, α, δ and PP, secrete glucagon, somatostatin, and PP, respectively . Maintenance of the body’s blood glucose is achieved through the homeostasis of insulin and glucagon; any change in their balance may result in changes in the glycemic level, resulting in metabolic impairments such as hypoglycemia or hyperglycemia. Diabetes mellitus is a complex, chronic, metabolic disorder characterized by hyperglycemia due to the lack of insulin, and is caused by a deficiency of hormone secretion, hormone action, or both. All forms of diabetes have hyperglycemia as the common feature. However, there are particular pathogenic mechanisms arising from the hyperglycemic state; these mechanisms are the basis for the subdivision into type 1, type 2, and gestational diabetes . Type 1 diabetes mellitus (T1D) is an autoimmune endocrine disease that causes the destruction of pancreatic β-cells by autoreactive immune cells, which react against endogenous antigens . As a result of the damage to the islets of Langerhans and the subsequent progressive loss of pancreatic β-cells, absolute insulin deficiency and the onset of classic manifestations of the disease (including hyperglycemia and ketoacidosis) occur. Because of the absolute insulin deficiency, it is necessary to replace the hormone in patients to normalize blood glucose levels. Therefore, this disease subtype is also referred to as insulin-dependent diabetes. It accounts for 5% to 10% of all diabetes cases, and is most frequently diagnosed in patients up to the age of 20 years. It is usually accompanied by symptoms such as insulitis, polydipsia, polyphagia, and polyuria in addition to hyperglycemia [6-7]. There is also a rare form of T1D, idiopathic diabetes, which is characterized by the absence of insulitis and auto-circulating antibodies that are associated with autoimmune T1D. Type 2 diabetes mellitus (T2D) is a complex, multifactorial disease which occurs when the pancreatic β-cells fail to secrete sufficient amounts of insulin to meet the metabolic demands of the body caused by insulin resistance in peripheral tissues. This situation leads to the hyperglycemic state. Insulin resistance precedes the development of hyperglycemia, with temporary maintenance of normoglycemic levels due to compensatory hyperinsulinemia. Insulin resistance results in decreased glucose uptake in striated muscles in combination with reduced glycolysis and fatty acid oxidation in the liver, leading to a series of modifications in the insulin signaling pathway, which attenuates signal transduction [8-9]. The mechanisms leading to the development of T2D have not been fully elucidated to date, but it is known that there are risk factors for developing the disease such as advanced age, obesity, poor eating habits, and a sedentary lifestyle . After a period of compensatory hyperinsulinemia due to insulin resistance, the β-cells gradually lose their ability to meet the demands for the hormone in the body, resulting in a progression to hyperglycemia, which is characteristic of T2D. Although these two types of diabetes exhibit specific characteristics, they both lead to serious metabolic complications, which are responsible for much of the morbidity and mortality associated with the disease [11-12]. Hypertension, dyslipidemia, stroke, and myocardial infarction are some vascular consequences that can arise from diabetes. Visual damage (diabetic retinopathy, cataracts, and glaucoma), nephropathy, and neuropathy are possible complications of diabetes [13-14]. Regarding in vivo studies of diabetes, there are several models of disease induction, with rodents being the most commonly used animals . The disease can be induced by surgery (through removal of the pancreas), by genetic manipulation (as in models of transgenic or knockout mice for glucose metabolism proteins) , or through pharmacological models of diabetes induction. Streptozotocin (STZ) and alloxan (Figure 1) are the two drugs that are most commonly used for the induction of T1D in animal models. Both drugs are administered parenterally (intravenously, intraperitoneally, or subcutaneously), and the doses administered depend on the species used in the experiment, the route of administration, and the nutritional status of the animals [15-17]. Although these two drugs promote diabetogenic activity mediated by reactive oxygen species, their mechanisms of action are different. Figure 1. Chemical structures of streptozotocin (A) and alloxan (B). Alloxan is a molecule that is similar to glucose and highly unstable . Because its structure and properties are similar to those of glucose, alloxan easily enters pancreatic β-cells via the GLUT-2 glucose transporter . The accumulation of toxins in cells decreases the oxidation of glucose, with consequent reduction in the production of adenosine triphosphate (ATP), thus suppressing the release of insulin-mediated ATP . Furthermore, alloxan and its reduced metabolite, dialuric acid, generate high amounts of superoxide radicals, which determine the dismutation of hydrogen peroxide and the consequent increase in intracellular calcium, leading to rapid destruction of pancreatic β-cells and induction of T1D . Streptozotocin (STZ) is a nitrosourea analogue in which the N-methyl-N-nitrosourea fraction is attached to a 2-carbon hexose. Similar to alloxan, STZ enters the cell via the GLUT-2 transporter membrane . Inside the cell, STZ causes alkylation of DNA, in addition to the release of nitric oxide. As a result, pancreatic β-cells are destroyed by necrosis . There are also T2D models using STZ. The first such model employs neonatal rats, which are treated with STZ intraperitoneally or intravenously, and shows hyperglycemia and insulin resistance after 10 weeks of treatment . The second model is characterized by the induction of T2D by a hypercaloric diet and STZ administration, with consequent hyperglycemia and insulin resistance . In less-developed countries, where medical care is precarious and drug prices are high, plants have always been used as drug therapies. In fact, plants are important sources of biologically active products, and are considered promising targets for drug discovery . Even with the progress in diabetes control by synthetic drugs and insulin, research involving plants and natural products for the control and treatment of the disease is still necessary, given the high cost of drugs and their side effects as well as the popular use of plants with supposedly effective antidiabetic activities . In recent years, research on plants and isolated compounds has reported antidiabetic activity of plant products [25-30]. Given the major problem of diabetes in public health and the growing use of natural products for medicinal purposes, this study aims to contribute to and reinforce the importance of phytotherapeutics as additional treatment in diabetes. The article also presents an updated review of the research on extracts from medicinal plants in terms of the biological mechanisms by which these extracts act and the natural principles of antidiabetic activity. In this section, we present the most promising hypoglycemic medicinal plants that have been tested in recent years. See Table A1 for a condensed overview of plants and plant extracts with hypoglycemic activities (in the Appendix). Oral administration of a methanol/dichloro-methane extract from A. lebbeck Benth. stem bark (ALEx) at a concentration of 100, 200, 300, or 400 mg/kg daily for 30 days was able to decrease blood glucose levels and glycated hemoglobin and to reverse weight loss compared with the levels observed in STZ-induced diabetic rats. The treatment also increased the activity of hexokinase, which increases the use of glucose in the synthesis of energy and decreases glucose-6-phosphatase and fructose-1,6-biphosphatase, which in turn increases glycolysis and decreases gluconeogenesis. The extract exerted its activity at the peripheral level, enhancing cellular glucose uptake, an effect similar to glibenclamide, and activating insulin release from pancreatic β-cells by inhibition of the K+/ATP channel. Weight loss is a characteristic signal of diabetes due to the proteolytic activity of the disease. The reversal of weight loss observed during treatment with the extract is brought about by inhibition of proteolysis, gluconeogenesis, and glycogenolysis. Furthermore, the extract significantly decreased the levels of total cholesterol, triglycerides, LDL-c, and VLDL-c, while it increased the level of HDL-c. The treatment also resulted in a marked increase in reduced glutathione, glutathione peroxidase, catalase, and superoxide dismutase, and a diminished level of lipid peroxidation in liver and kidneys of STZ-induced diabetic rats. Histopathological analysis of pancreas, liver, kidney, and heart revealed a deterioration of these organs in diabetic rats. The treatment with ALEx protected the organs, and reduced the lesions in a dose-dependent way . Administration of an extract of A. vera at a dosage of 130 mg/kg per day for 4 weeks resulted in a significant decrease in blood glucose, triglycerides, LDL, and total cholesterol in STZ-induced (60 mg/kg) diabetic mice. The antidiabetic effect was comparable to that of metformin. The activities of carbohydrate-metabolizing enzymes returned to near-normal levels following this treatment, and glucose homeostasis was restored. The increase in levels of glycogen in liver and kidneys was comparable to that seen in diabetic animals, indicating that one of the possible pathways through which A. vera extract may act is by improving gluconeogenesis. Furthermore, a lyophilized aqueous aloe extract (1 mg/ml) upregulated GLUT-4 mRNA synthesis in mouse embryonic NIH/3T3 cells. Metformin acts by reducing the plasma glucose level, increasing the uptake of glucose by skeletal muscle cells through GLUT or insulin receptors. Therefore, the upregulation of GLUT-4 caused by the extract may be due to a stimulus of cytoskeletal proteins, which act in the transport of GLUT-4 vesicles from the cytoplasm to plasma membrane . An extract of A. tricolor at different doses (50, 100, 200, or 400 mg/kg) administered one hour prior to glucose administration in the oral glucose tolerance test (OGTT) (p.o. ), showed a significant antihyperglycemic activity in glucose-loaded mice at all doses of the extract tested. Maximum antihyperglycemic activity was observed at 400 mg/kg, which was comparable to that of a standard drug, glibenclamide (10 mg/kg). One of the compounds that may explain the antidiabetic activity of the extract is quercetin, a flavonoid that has antidiabetic potential . A dose of 200 mg/kg of an ethanol extract from the leaves of A. indica caused a hypoglycemic effect 72 h after administration in diabetic rabbits, with a persistence of up to 24 hr. The possible mechanism of the hyperglycemic effect may involve a reduction in the peripheral utilization of glucose and glycogenolytic effects due to blockage of epinephrine action by the extract in the rabbits. The possible antidiabetic effect of the extract may be associated with increased insulin release by the remaining pancreatic β-cells . Traditional medicine used leaves from B. thoningii because of their antipyretic, expectorant, antihelminthic, antidiarrheal, and antimalarial potential. The results from a study confirmed the antidiabetic effect of the extract, which is due to hypoglycemic activity, and its ability to ameliorate coronary diabetic complications by hypolipidemic activity. An aqueous extract from the leaves administered orally at a dose of 500 mg/kg caused an 81.37% reduction in blood glucose in experimental animals over a period of 7 days. The hypoglycemic potential is similar to glibenclamide, and the possible mechanism of action may be the same as the drug, including stimulation of insulin release, increase of insulin receptors in cells, and/or reduction of gluconeogenesis. Also, the extract reduced low-density lipoprotein (LDL) and the coronary risk index . An aqueous extract from the stem bark of C. ferrea showed antidiabetic properties by reducing blood glucose levels and improving the metabolic state of the experimental animals. The major components of the extract are catechins (condensed tannins), gallic acids, and ellagic acids (hydrolysable tannins). The hypoglycemic effect of the extract is presumably not linked to hydrolysable tannins. According to Ueda et al. (2004), gallic acid does not have hypoglycemic potential . Therefore, it is possible that hypoglycemic activity is attributable to catechins [37-38]. The extract may also have extra-pancreatic effects because the plasma levels of the hormone were maintained low after treatment. Protein kinase B (AKT) phosphorylation was increased in both liver and skeletal muscles of the treated animals, while phosphorylated AMP-activated protein kinase was decreased only in skeletal muscles, and phosphorylated acetyl-CoA carboxylase (ACC) was decreased in both tissues, when compared with untreated rats. Besides increased glucose uptake in skeletal muscles by GLUT-4 translocation, AKT activation is necessary for the decrease of glycogenolysis and control of glycogen synthesis in liver, skeletal muscles, and adipocytes. The adenosine monophosphate-activated protein kinase (AMPK) pathway has also been investigated. AMPK is activated under conditions of energy deficit, which in turn causes ATP consumption to decrease and ATP synthesis to increase. AMPK activation also leads to ACC inhibition, allowing the oxidation of fatty acids . This explains the low levels of total cholesterol, triglycerides, and epididymis adipose tissue . 0.5 ml/day of tea made from the crude extract of leaves from C. sinensis administered for 15 and 30 days caused antihyperglycemic and hypolipidemic activities in diabetic rats. In diabetic mice, the extract reduced serum glucose levels significantly. Furthermore, treatment with the extract showed protective effects, resulting in the recovery of certain altered hematobiochemical parameters, and reduced the body weight of diabetic mice . Alcoholic extracts of C. fistula administered to diabetic rats at 250 or 500 mg/kg for 21 days significantly decreased blood glucose levels. The extract also showed protective effects in the cardiovascular system and kidneys reflected by the levels of biochemical parameters of cholesterol, triglycerides, serum albumin, creatinine, and protein. Also, the extract showed significant antioxidant activity by reducing 2,2-diphenyl-1-picrylhydrazyl (DPPH), nitric oxide, and hydroxyl radicals in vitro . Administration of a methanolic extract from the leaves of C. pachystachya caused a significant hypoglycemic effect, which resulted in a 68% reduction of blood glucose after 12 h of induction. The extract also showed antioxidant activities, including IC50 = 3.1 µg/ml (DPPH assay) and an EC50 = 10.8 µg/ml (reduction power) compared with the reference antioxidants quercetin, rutin, and ascorbic acid. Chlorogenic acid and C-glycosylated flavones may explain these activities, but further studies are required to reveal the mechanisms of action. Other possible effects caused by the extract include the enhancement of plasma insulin and an impact on extra-pancreatic mechanisms . Administration of ethanolic extracts from the aerial parts of C. iphionoides increased insulin secretion from β-cells cells and glucose uptake by adipocytes and skeletal myotubes. Another potential activity of the extract is the reduction of intestinal glucose absorption. The extract also showed hypoglycemic effects in diabetic sand rats. It is possible that flavonoids and sesquiterpenes described in this plant family are largely responsible for the therapeutic effect. Therefore, further studies are needed to understand its mechanisms of action . Cinnamon extracts were administered for 14 days at doses of 200 and 300 mg/kg in high-fat, diet-fed, and low-dose STZ-induced diabetic mice. The results showed that blood glucose concentrations were significantly decreased in all cinnamon groups compared with the control group. Also, cinnamon treatment significantly increased the consumption of extracellular glucose in insulin-resistant HepG2 cells and normal HepG2 cells compared with controls. These results suggest that the extracts of both cinnamon species exhibit hypoglycemic activities, and may improve insulin sensitivity in T2D . Aqueous extracts of the roots of C. colocynthis showed significant antidiabetic effects in alloxan-induced diabetic rats through the reduction of blood sugar levels, when compared with chloroform and ethanol extracts. The hypoglycemic activity in animals treated with the extracts may be due to the stimulation of residual pancreatic insulin production or the increase in peripheral glucose utilization. Also, the aqueous extracts improved other clinical parameters, including body weight, serum creatinine, serum urea, serum protein, and lipids, and restored serum levels of total bilirubin, conjugated bilirubin, serum glutamate oxaloacetate transaminase (SGOT), serum glutamate pyruvate transaminase (SGPT), and alkaline phosphatase (ALP) . An extract of the bark of F. racemosa (approximately 100 mg, 5 ml) was orally administered twice daily for 15 days in a group of diabetic subjects who were taking an oral hypoglycemic drug. After ingestion of the herb in combination with the drug, blood glucose levels (fasting and postprandial) were markedly decreased in both males and females, though the only significant difference was found for the sugar level of males at 1.5 h after breakfast. To rule out toxicity of the herb, tests of liver and kidney function were performed, and the results were observed to be in the normal range. The present investigation generated pharmacological evidence supporting the traditional claim that F. racemosa is an effective antidiabetic agent . Ethanol extract from G. sylvestre leaves showed antihyperglycemic activity and improved the antioxidant status in diabetic rats . The extract also exhibited strong antioxidant activity in in-vitro assays, including thiobarbituric acid (TBA), superoxide dismutase (SOD)-like, and 2,2-azino-bis-3-ethylbenzthiazoline-6-sulphonic acid (ABTS) assays. TBA assay is associated with lipid peroxidation because of the presence of an intermediary of the process (malondialdehyde), whereas the other two substances are involved in free radical uptake. The authors attribute the antioxidant properties to the high amounts of phenolic components in the extract . Lipid peroxidation levels were decreased in serum, liver, and kidneys of diabetic rats fed the extract from G. sylvestre leaves. The extract (100 mg/kg) did not show hypoglycemic action in diabetic and normal rats, but there was an antihyperglycemic effect in the diabetic groups, suggesting that the increase in plasma glucose level was counteracted. Furthermore, liquid chromatography and mass spectrometry (LC/MS) experiments showed that the extract has high quantities of gymnemagenin and gymnemic acids; these components may be responsible for the antihyperglycemic effect. It is also possible that the antihyperglycemic potential of the plant is due to an increase in insulin release, which is evident by the elevated level of plasma insulin in diabetic rats . Oral treatment with an extract from J. regia leaves did not adversely affect the levels of liver transaminases (SGOT and SGPT), which is an indication of its safety . The results also showed that the use of the extract is effective in controlling glycemia in diabetic patients. As this study was conducted on human samples for the first time, the lowest dose of the drug was used. Considering the antidiabetic effect of J. regia leaves observed in this study, the authors suggested investigating the efficacy of higher doses in future clinical trials to obtain more significant results . An antidiabetic effect was observed in rabbits 72 h after they were fed a methanolic extract from M. charantia leaves (200 mg/kg). The authors suggest that the possible hypoglycemic activity may be mediated by the stimulation of insulin release and enzymes responsible for glucose uptake as well as the utilization and/or inhibition of the intestinal absorption of glucose . Treatment with 150 or 300 mg/kg of methanolic extracts made from M. oleifera pods (MOMtE) for 21 days significantly reduced the progression of diabetes. In the treated rats, both doses of MOMtE induced a significant reduction in serum glucose and nitric oxide level, with a concomitant increase in serum insulin and protein levels. Flavonoids are phenolic components that act as insulin-mimetic agents. In this regard, the flavonoids found in the phytochemical analysis may be related to glucose uptake in peripheral tissues and activity expression/regulation of enzymes in the carbohydrate metabolism. Furthermore, MOMtE treatment increased antioxidant levels in pancreatic tissue, and concomitantly decreased the levels of thiobarbituric acid-reactive substances. It is known that oxygen-free radicals contribute to the development of diabetes complications, especially through β-cell cytotoxicity. Treatment with the extract decreased the damage caused by oxidative stress, and may be effective in preventing protein oxidative damage, explaining the increase in protein levels in the treated animals, a mechanism involved in β-cell cytotoxicity in diabetes. Histological examination of the pancreas from diabetic rats showed degenerative changes in β-cells; MOMtE treatment significantly reversed the histoarchitectural damage to islet cells . A hydroalcoholic extract from N. sativa (5 mg/kg, intraperitoneal) markedly increased body weight, and significantly reduced fasting blood glucose levels compared with controls. Histopathological examination showed that the hepatic glycogen content was partially recovered, and a large proportion of the pancreatic islet cells was protected. Islet and cell numbers and islet diameters were found to be significantly different from those of controls. Consequently, N. sativa may be clinically useful in the control of diabetes, and in the protection of β-cells . The effects of various extracts from edible O. milpa alta (petroleum ether extract, ethyl acetate extract, butanolic extract, aqueous extract, H2O parts) and a standard drug (i.e., dimethyl biguanide 100 mg/kg) were tested in STZ-induced diabetic mice. The results indicated that all treatments could significantly decrease blood glucose levels and maintain body weight in diabetic mice compared with controls, with the exception of the aqueous extract treatment. In particular, the petroleum ether extract group and the standard drug group showed a remarkable decrease in blood glucose levels. It is possible that one of the major components of the extracts is responsible for these effects. For example phytol, an acyclic diterpene alcohol, is a precursor of phytanic and pristanic acids, which are fatty acids linked with PPAR-α activity. PPAR agonists are widely used in the treatment of diabetes . According to phytochemical analysis, methanolic extract from Origanum vulgare L. ssp. hirtum is rich in biophenols, and has demonstrated in-vitro antioxidant activity in DPPH assay, with a 50% radical scavenger concentration of 38.70 ± 1.20 μg/ml. The in vivo STZ-diabetic model showed an antioxidant effect with upregulated enzymes (SOD, CAT, GR, and GPx), and anti-inflammatory capacity attenuating pro-inflammatory responses by mediation of T helper 17 cells and increasing anti-inflammatory cells such as T helper 2 and T regulatory cells. The methanolic extract also has cytoprotective activity inhibiting apoptosis via caspase 3 blockade . Hydroethanolic leaf extract from P. nitida showed an α-glucosidase inhibitory activity in vitro corresponding to a 50% inhibitory concentration IC50 = 6.78 ± 0.31 μg/ml and an α-amylase inhibition corresponding to an IC50 = 93.36 ± 4.37. In vivo experiments testing different saccharide tolerances revealed significant glycemic control. In alloxan-diabetic mice, these assays showed a decrease in total cholesterol, a hypoglycemic effect, and antioxidant activity based on the measurement of thiobarbituric acid-reactive substances. The hypoglycemic and hypolipidemic activities can be related to the presence of tannins in the extract, which may be concluded from experiments with tannic acid that demonstrated antilipogenic effects and glucose transport mediated by insulin pathways in adipocytes . 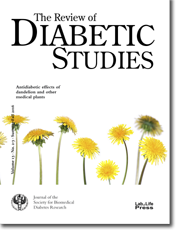 Hydroalcoholic extract of the leaves from P. americana (at doses of 0.15 and 0.3 g/kg/day) reduced blood glucose levels after 28 days of treatment in 60% and 71% of STZ-diabetic rats, respectively, compared with untreated diabetic rats. There was no difference in plasma insulin between the diabetic groups, suggesting that the hypoglycemic effect was due to extrapancreatic activity, independent of insulin secretion. The extract improved the metabolic state of the experimental animals and increased body weight. It may regulate glucose uptake in liver and muscles by means of PKB/Akt activation, and restore the intracellular energy balance. The improved glucose uptake in peripheral tissues supports protein synthesis, reducing the proteolysis created by diabetes. This explains the increase in body weight and decrease in urea and uric acid in rats treated with the extract. Another observation was that intestinal glucose absorption was reduced in animals treated with the extract. This activity may be explained by the presence of flavonoids, which may have reduced intestinal glucose absorption by GLUT-2 inhibition. The absorption of glucose in the gut is dependent of sodium glucose transporter protein 1 (SGTP-1) and GLUT-2 . In-vitro investigation of the antioxidant activity of a methanol leaf extract from P. nitida using DPPH showed an IC50 ranging from 0.19 ± 0.08 mg/ml to 1.00 ± 0.06 mg/ml. Administration of the extract (300 mg/kg) revealed significant hypoglycemic activity. Also, the measurement of stress markers in plasma, liver, and kidney showed a significant reduction in malondialdehyde (MDA) and hydrogen peroxide levels coupled with a substantial increase in catalase activity. The antioxidant property of the extract may be associated with high amount of polyphenols . Some research studied the biological potential of aqueous, methanol, ethyl acetate, and hexane extracts made from P. longum. However, aqueous and methanol extracts only had antidiabetic activity. A possible explanation is the presence of secondary metabolites such as alkaloids and glycosides in these extracts, and the absence of others. Aqueous extract from P. longum administered at a dose of 200 mg/kg showed significant antidiabetic activity at 6 h of treatment, with better effectiveness than glibenclamide. Administration of the aqueous extract at the same dose for 30 days in STZ-induced diabetic rats resulted in a significant decrease in fasting blood glucose levels and correction of diabetic dyslipidemia compared with untreated diabetic rats. There was a significant decrease in the activities of liver and renal function markers in treated diabetic rats compared with untreated diabetic rats, indicating that the extract has a protective effect against liver and kidney damage, and that it is non-toxic . Treatment of T2D patients with an extract from P. oleracea seeds resulted in a significant decrease in serum levels of triglycerides (TGs), total cholesterol (TC), low-density lipoprotein cholesterol (LDLC), liver alanine transaminase, aspartate transaminase and gamma-glutamyl transaminase (ALT, AST, and GGT), total and direct bilirubin, fasting and post-prandial blood glucose and insulin, and body mass index. Simultaneously, the patients showed a significant increase in high-density lipoprotein cholesterol (HDLC) and albumin, and a non-significant change in alkaline phosphatase (ALP). These results demonstrate that P. oleraceae seeds possess notable hypoglycemic, hypolipidemic, and insulin resistance-reducing effects, possibly due to their high content of polyunsaturated fatty acids, flavonoids, and polysaccharides . In vitro examination of the antioxidant activity of a hydroethanolic extract from the whole plant of S. oleraceus using DPPH showed an IC50 = 0.19 mg/ml. The polyphenol contents ranged from 182.25 ± 16.76 μgEq Cat/g to 684.62 ± 46.66 μgEq Cat/g. The extract showed a significant antidiabetic activity, and measurement of stress markers in plasma, liver, and kidneys following administration of the extract showed a high antioxidant potential. The effects may be attributed to the significant free radical-scavenging capacity, hypoglycemic activity, and the ability to prevent oxidative stress in diabetic rats, which was determined by the decrease of MDA and H2O2, and the increase in catalase activity. Furthermore, the phytochemical characterization found that the extract was high in polyphenol content and secondary metabolites with proven antioxidant activity . An extract obtained from the seeds of S. jambolana (200 mg/kg) showed a hypoglycemic effect in rabbits. This effect may be due to enhanced endogenous insulin production, possibly through pancreatic β-cell regeneration or repair caused by higher insulin levels in the serum . An alcoholic extract made from T. indica showed a significant antioxidant activity in DPPH, nitric oxide, and hydroxyl radical-induced in vitro assays. Oral treatment of diabetic rats with the alcoholic extract from T. indica at doses of 250 mg/kg and 500 mg/kg for 21 days significantly decreased blood glucose levels, indicating its antidiabetic potential . Oral treatment of normal rats with an aqueous extract from W. solanacea leaves at doses of 500 mg/kg and 1000 mg/kg significantly decreased blood glucose levels in the glucose tolerance test after 1 h, whereas there was no significant difference observed at a dose of 250 mg/kg. A dose of 500 mg/kg significantly reduced blood glucose levels in alloxan-induced hyperglycemic rats at 4 h and 5 h of treatment. The results provided support for the traditional use of W. solanacea as an antidiabetic herbal medicine, but also a warning regarding its potential hypoglycemic effect in people using the plant for indications other than diabetes . Oral administration of an ethanolic extract from Z. decandra roots (200 mg/kg/day) for 15 days significantly restored the levels of glucose, cholesterol, triglycerides, total proteins, urea, creatinine, lipid peroxidation level, and antioxidant enzymes in diabetic rats. However, histopathological analyses revealed significant changes in alloxan-induced diabetic rats, including necrosis and degeneration in liver and pancreas. These histopathological abnormalities were found to be normalized after stopping treatment with the extract . Many substances extracted from plants are used to treat diabetes, and the wide variety of chemical classes among these substances indicates that a variety of mechanisms must be involved in the reduction of blood glucose levels . Flavonoids comprise a group of natural pigments that are widely distributed in angiosperms and gymnosperms. They are present in fruits, vegetables, and cereals, as well as in the roots, leaves, and stems of plants. Diverse biological activities are attributed to flavonoids, including cardioprotective and hypoglycemic activities. Some flavonoids increase the release of insulin from isolated islets of Langerhans in a concentration-dependent manner . Some flavonoids such as rutin, quercetin (Figure 2A), isoorientin, 3-caffeoylquinic acid (chlorogenic acid), and silibin isoform 3 (obtained of milk thistle) have hypoglycemic properties [63-67]. Figure 2. Chemical structures of quercetin (A), transdehydrocrotonin (B), coumarin fraxidin (C), multiflorine (D), and epicatechin (E). Triterpenoid glycosides and steroids, which are known as saponins, are bioactive substances present in many plants . Some derivatives of triterpenoid saponins showed hypoglycemic activity , e.g., the oligoglycoside sesquiterpene officinoside . The effect of terpenoids appears to be involved in the stimulation of pancreatic β-cells. The mechanism of the hypoglycemic action of coumarins may be involved in hepatotoxicity . The terpene trans-dehydrocrotonin (Figure 2B), which is classified as a lactone-type clerodane diterpene, showed antidiabetic activity in mice [72-74]. Cafestol, stevioside, and isosteviol are diterpenes that increase insulin sensitivity and secretion by modifying the expression of genes and transcriptional factors of insulin regulation, and increasing glucose uptake [75-77]. Coumarins show hypoglycemic activity, and exert inhibitory effects on the activity of the enzyme aldose reductase and on platelet aggregation, which are considered to be the causes of diabetic complications. Coumarin fraxidin (Figure 2C) is an example of this family of plant substances [78-79]. Multiflorine (Figure 2D), a substance isolated from legume plants, exerts a hypoglycemic effect . It contains a conjunction ring-type, which is rare in lupinic alkaloids. The hypoglycemic effect of (7R, 9a S)-7-phenyl-octaidroquinolizin-2-one is approximately four times greater than that of multiflorine. This shows that substances with a quinolizidin-2-one ring as basic structure show a potential as hypoglycemic drugs . The derivative cryptolepine, a member of the indoloquinoline alkaloid family, shows antihyperglycemic activity . Polyphenols such as gallocatechin, epicatechin (Figure 2E), epigallocatechin, epigallocatechin gallate, marsupsine, and pterostilbene show an antidiabetic activity [83-84]. Some studies report that polyphenols reduce blood glucose . Isoferulic acid has hypoglycemic activity in cases of T1D . In normal rats, 4-hydroxybenzoic acid shows a hypoglycemic effect by increasing insulin levels in serum and glycogen levels in the liver . Bakuchiol significantly reduces the level of glucose and triglycerides in the blood . In recent years, several synthetic drugs have been developed to combat diabetes, but the situation has improved only marginally. The synthetic drugs are also unable to combat the pathological complications; their effects are mostly palliative. While herbal medications have been used successfully since ancient times to counteract diabetes and its complications, their biological activities and effectiveness have not received appropriate attention in modern medicine, and their great potential in counteracting diseases has not been utilized clinically until today. This is why we want to compile current knowledge about the biological mechanisms of promising plant components. It is well known that plants are a rich source of secondary metabolites, including flavonoids, terpenes, alkaloids, and coumarins, which are useful for the development of new drugs or the treatment of diseases such as diabetes and its complications . Herbal treatments for diabetes have been used in patients with both insulin-dependent and non-insulin-dependent diabetes as well as in conditions such as diabetic retinopathy and diabetic neuropathy. Bnouham et al. (2006) reported that the families of medicinal plants with the most potent antidiabetic effects include Leguminoseae, Lamiaceae, Liliaceae, Cucurbitaceae, Asteraceae, Moraceae, Rosaceae, Euphorbiaceae, and Araliaceae . Flavonoids are polyphenolic components that are known to show high antioxidant activity. Studies have also demonstrated hypoglycemic activities of flavonoids exerted by the prevention of oxidative stress in pancreatic β-cells [91-92]. In combination with anti-inflammatory capacities, these molecules may cause an improvement in blood glucose levels and side effects of the disease . Terpenes are molecules with the general chemical formula of (C5H8)n; their basic chemical structure is the isoprene molecule. Some diterpenes, triterpenes, and sesquiterpenes act to stimulate the release of insulin and decrease oxidative stress , thus resulting in the normalization of blood glucose levels. As they also exhibit hypolipidemic activity , these substances may be beneficial in the control and treatment of diabetes. Coumarins are secondary metabolites found in plants that consist of aromatic heterocyclic components made of benzene and α-pirone-fused rings. Coumarins belong to a class of plant components that have multiple biological activities, including antioxidant effects, growth modulation, and disease prevention; they also play an important role in the regulation of cell growth and differentiation . Alkaloids are cyclic amines with heterocyclic rings containing nitrogen. They exert antidiabetic effects by stimulating insulin secretion and increasing blood glucose uptake in peripheral tissues, and they may be able to prevent diabetic complications such as neuronal and renal damage [97-98]. Phenolic plant components play an important role in the prevention of diabetes complications by reducing the formation of reactive oxygen species, and protecting kidney function . The major drugs used for the treatment and control of diabetes are insulin and oral hypoglycemic agents. For many years, insulin of bovine or porcine origin was employed for clinical use. With the occurrence of recombinant DNA technology, it became possible to synthesize human insulin, which is now the most widely used form. Because of its destruction in the gastrointestinal tract, insulin is administered parenterally (subcutaneously, intravenously, or intramuscularly). Once absorbed, it is metabolized in liver and kidneys. A major problem with the use of insulin is the prevention of large peaks in glycemic control, resulting in severe adverse effects such as hypoglycemia and late vascular complications. There is also a possibility of local or systemic allergic reactions, though such cases are rare. Insulin analogues have been developed to achieve prolonged or short-term effects. Insulin lispro is fast-acting, while the effects of insulin glargine are long-lasting . Biguanides such as metformin (Figure 3A) are a class of oral hypoglycemic agents used in the treatment of T2D to reduce glucose by increasing peripheral glucose uptake and reducing hepatic gluconeogenesis. These agents stimulate appetite, and are widely used in the treatment of obese patients. The most common adverse effects of biguanides are gastrointestinal disturbances such as nausea, vomiting, and diarrhea [100-101]. Sulfonylureas, i.e., tolbutamide, chlorpropamide, glibenclamide (Figure 3B), and glipzide are oral hypoglycemic agents that impact on β-cells by closing K+/ATP channels, promoting membrane depolarization and Ca+2 influx into the cell, and consequently stimulating insulin secretion. Their most common adverse effect is hypoglycemia. Also, these agents stimulate appetite and often cause weight gain [102-103]. Glucagon-like peptide-1 (GLP-1) is derived from preproglucagon gene expression in chromosome 17; the native molecule has a short plasma half-life time. An increase in this molecule results in improvement of β-cell health in a glucose-dependent manner and suppression of glucagon . Some modifications in the chemical structure of native GLP-1 prolonged the half-life of the molecule, resulting in GLP-1 analogues, i.e., exenatide and liraglutide (Figure 3C) , used in the treatment of diabetes . Acarbose (Figure 3D) is an intestinal α-glucosidase inhibitor used for the treatment of T2D. The drug slows the absorption of carbohydrates, which reduces the increase in postprandial glycemia. The adverse effects of acarbose include flatulence, diarrhea, abdominal pain, and abdominal distension [106-107]. There are many herbal formulations available in the market that are used to treat diabetes, such as Diabecon, Diasulin, Pancreatic tonic 180 cp, Chakrapani, Bitter gourd Powder, Dia-care, Diabetes-Daily Care, Gurmar powder, Epinsulin, Diabecure, Diabeta, and Syndrex . Figure 3. Chemical structures of metformin (A), glibenclamide (B), liraglutide (C), and acarbose (D). In conclusion, there are many plants that have antidiabetic potential, as tested in experimental models or clinical practice. In some cases, these plants show promising potential for a possible application of compounds from the plants in diabetes therapy, as they have more significant antidiabetic activity than standard drugs. In many cases, studies employing medicinal plants that are traditionally used in the treatment of diabetes have revealed hypoglycemic or antihyperglycemic properties, confirming their appropriate use as antidiabetics in traditional folk medicine. The antidiabetic effects of the plants are attributed to several mechanisms of action. The great diversity of chemical classes indicates that a variety of mechanisms of action are likely to be involved in the decrease or maintenance of blood glucose levels by stimulating insulin secretion from pancreatic β-cells or increasing glucose uptake in the periphery. Some of the substances derived from medical plants may have therapeutic potential, while others may produce hypoglycemia as a side effect and may even be toxic, especially regarding hepatocytes. To enable better healthcare for people suffering from diabetes and its complications the use of plant-derived substances with their promising properties should be promoted in clinical practice. The focus of future research should thus be to reveal the biological active components and their mechanisms, and to develop clinically effective and safe compounds. Disclosures: The authors reported no conflict of interests. Legend: KM - Kirin Brewery Company and Medarex, ICR - imprinting control region.